One of the most popular sports enjoyed across the globe, Tennis is a great form of entertainment for viewers and an amazing challenge for players and the opportunity to play the game in various exotic locations is one of the many benefits enjoyed by those involved. With such hype over competitions at a professional level or between colleagues and friends in social environments, there are many who are willing to impart guidance, tips, strategy and opinions on this classic sport. In an effort to bring together the very best tennis and travel sites in one handy list, our panel has carefully grouped together the finest online resources currently active. A virtual encyclopaedia on the current happenings and events in tennis, updated faster than a professional serve and with a wealth of visual content to support. Everything you could need to know about women's tennis, from current news to tournament fixtures, all handily available through this well-maintained blog. Tennis X is a concise and easy to use site which automatically collects and posts news from across the community (thanks in part to a clever set of algorithms). Also features a very healthy and active forum filled with like-minded tennis fans. Not only does HCFoo's tennis blog detail all the latest tennis news but it also covers on-court talk, and controversial gossip on the players themselves - a guilty-pleasure read if ever there was one. 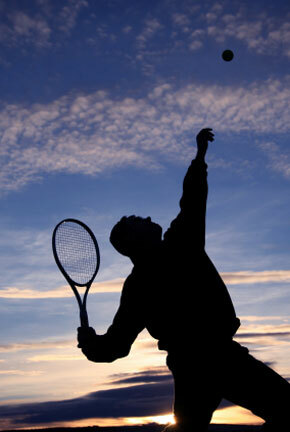 The Austin Tennis blog, as the name suggests, pertains exclusively to tennis dates and new from the Austin, Texas area. An indispensable regional resource. The Regentville Tennis blog is penned by a Singapore-based tennis lover whose writing enthuses the reader with a passion for the sport. Of particular interest are his equipment reviews which are written with an air of extensive knowledge and experience. An intimate and no-holds-barred work of great passion, the Down The Line blog is highly entertaining and is written in the style of someone who truly knows the game inside out. This photo collection captures the world of tennis in a way words can not. Each shot tells a story of its own and is produced to a professional standard - it doesn't get much better than this. The Tennis News Network can be described as simplistic yet effective, never taking itself too seriously but at the same time reporting on all the current issues from the sport.